After the last hole which is quite long, hole 13 is a short, welcome break. During course construction a delicious smell of maple sap wafted all aroud the mature maple trees on this fairway. 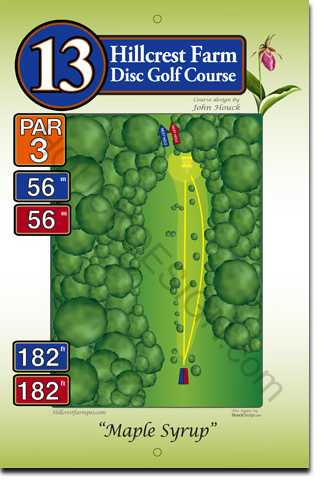 At 56 metres, on this par 3 hole you can actually see the basket from the tee — how hard can that be?